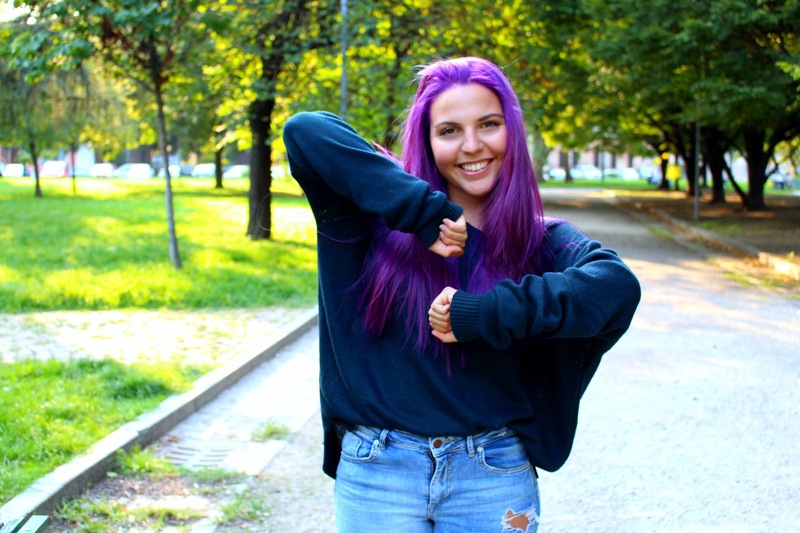 Sara Pags : Purple Hair & F.A.Q. Yes, I did it. I dyed my hair purple and I looove it, seriously. 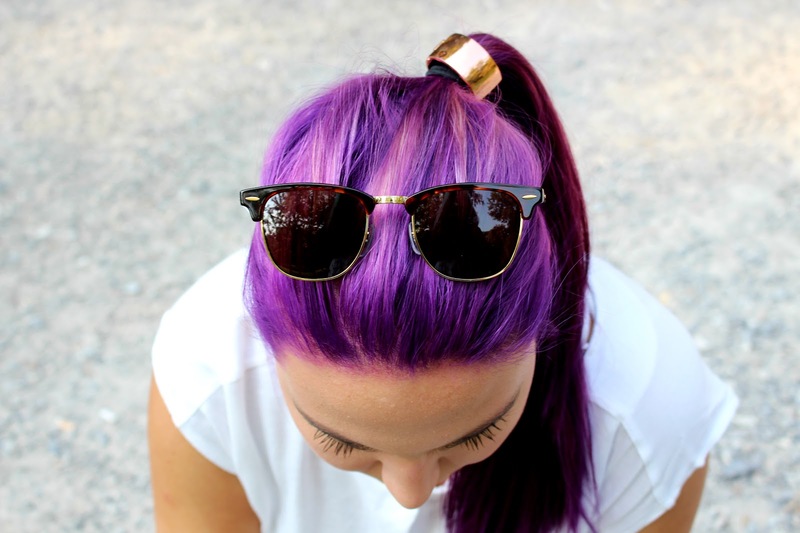 If you follow me on Pinterest you'll know that I created a whole board about lavender hair, since I have been obsessed with it for a long long time. But since it's a big damage to your hair and it's also kind of difficult to take care of, I waited a long time before making my decision. 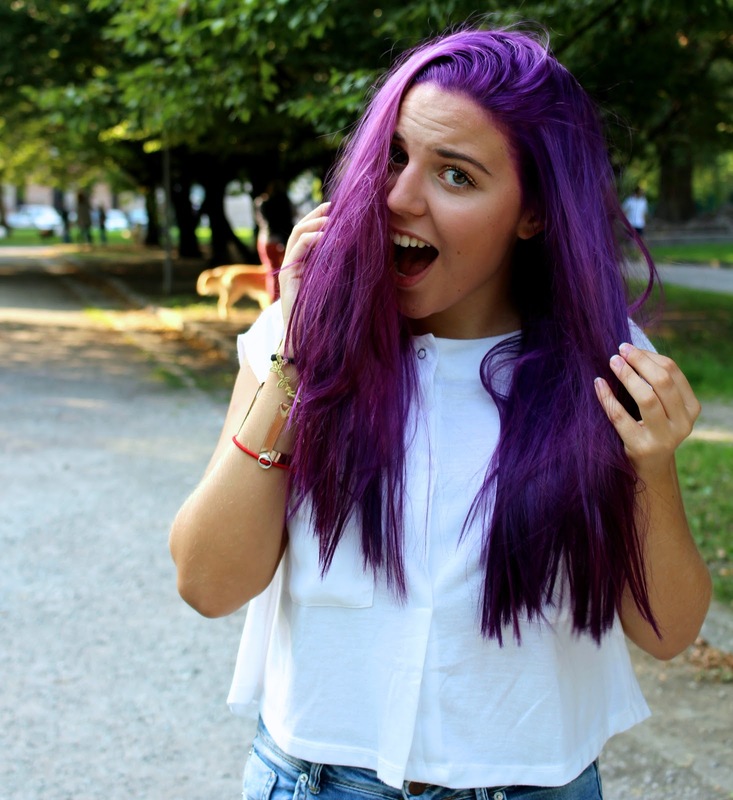 I actually wanted it lilac, but when I tried the dye I had bought previously, it turned out blue. Not what I expected. So the hairdresser showed me another colour and I went for it. Anyway, I'll save the lilac for next time. Now, let's move onto questions. When did the idea cross your mind? 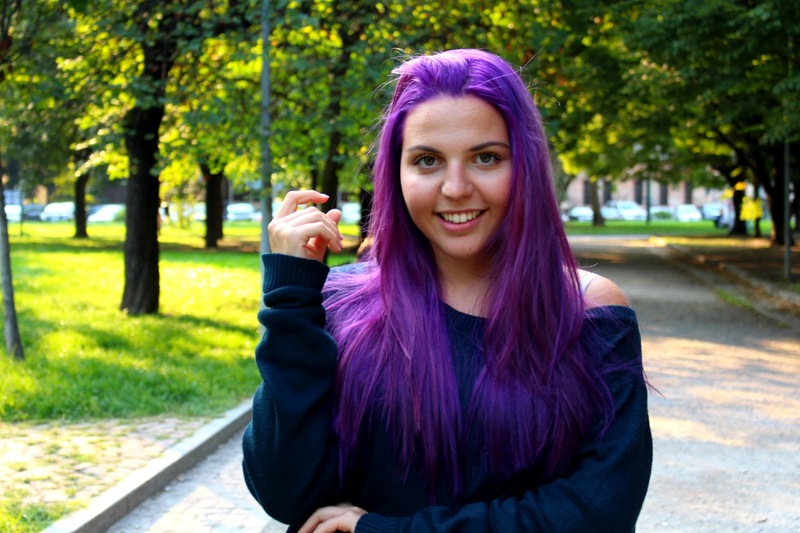 When you read blogs and surf online a lot, it's not very difficult to come across beautiful picture of people with a crazy hair colour and I've always secretly envied them. So when a friend of mine went for a bright blue I just couldn't resist anymore and I decided to book an appointment for September, right after summer. Did you have to bleach it before? Yes, I did and it took me two takes plus one more on the ends to get to the right shade. Has it damaged your hair? As I said before, it has. In fact bleaching consists in removing all the substances contained in your hair, so that it becomes very weak. I had to bleach it twice plus one more time on the ends, so my hair is not very healthy at the moment, but I'll try to take care of it. How did you get over the fact that you'll never have your hair back? Well, I am almost sixteen and in my opinion, that's the right time to do that. You have all the time to let your hair grow again and it definitely won't be white yet. And if you're not happy with the colour, you can still redye it of your original shade. Did you dyed it on your own or did you go to the salon? 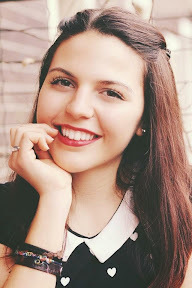 I decided to go to the hairdresser to have a more professional and uniform result, but I've also dyed my friend's hair blue so many times, so I can say that it's not impossible. My advice would be to go to the salon at least the first time, while you can easily dye the roots at home, maybe with a friend's help. By doing it all at home you risk to make your hair a bit spotty. Affordable is definitely not the right word. Everyone's budget is different, so all I can say is that it's not cheap considering also that you will need a touch up about once a month. Doing it at home it's obviously cheaper, but very risky. How long does it take to get it done? That's an awful question. I stayed five hours at the salon, but you might need more if there were some complications. I know it's a lot of time but you know, sometimes having class is itchy. I promise it's worth it, that's all I can say. Well these are all the questions i could think of, feel free to ask if you'd like to know something more in the comments! That colour really suits you! Go for it! And don't forget to tweet me a pic then!! !